"The Bachelor" goes back to the Caribbean for the fantasy suite dates. The remaining three women get their last chance to connect with Ben before meeting his parents, which resulted in a lot of "I love you's" and awkwardness. Lucky Caila got the first fantasy suite date. Unfortunately for her the luck ended there. 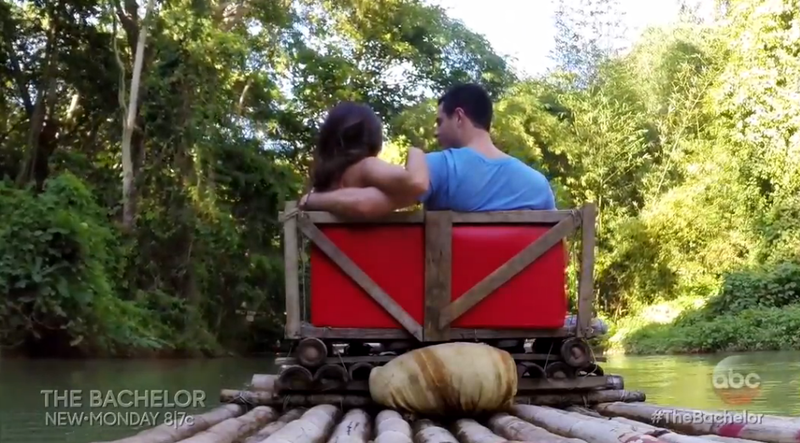 She and Ben shared an awkward river ride followed by a dinner conversation where Caila said, "I love you." Ben did not say "I love you, too," which did not appear as weird until later in the episode. There was something off about them on this date, but they did not choose to forgo their individual rooms. Ben was excited to see Lauren after her successful hometown the date before. The couple got to help with a turtle preservation, talk about the future and have a serious conversation later in the date. When Lauren who has hesitated to open up in the process, told Ben she was in love with him, he told Lauren, "I love you, too." This was a dramatic and significant moment in 'The Bachelor' series, but the surprises did not stop there. JoJo had some catching up to do after her rocky hometown date, because of her overprotective brothers and ex-boyfriend. Luckily for JoJo it did not take long for them to be back on track. 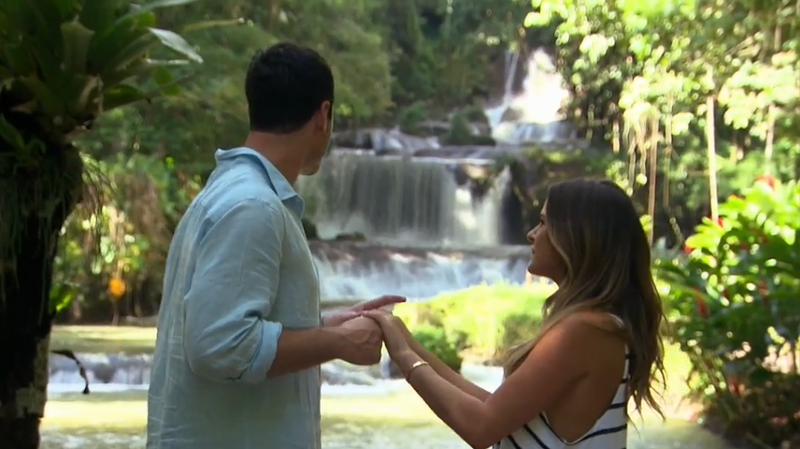 This date was very romantic and the couple got to share their love by a waterfall. In the most shocking event, Ben replied, "I love you, too" when JoJo shared her feelings. 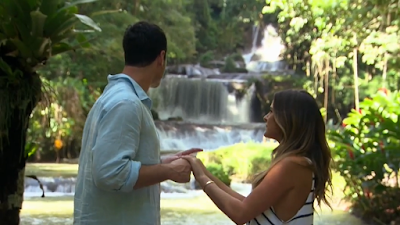 It is the biggest no in "The Bachelor" to say I love you, but to say it twice took it to another level. At this point, it was clear that Caila was not going to be able to catch up to the feelings Ben shared with the other women. In an effort to sustain their connection, Caila went over to see Ben in a cropped top and skirt. Ben is honest with Caila and tells her he has a stronger connection with the other women. Caila is upset, gets in the limo and gets back out and asks when he knew? To translate, Caila wanted to know if he knew before or after he hooked up with her. Join me on Twitter @BachelorExpert to live tweet the show. Who is your favorite?